Jeremy Denk guides lost audiences home in a series of three works by master composers Mozart, Beethoven and Bach. American pianist Jeremy Denk is an intelligent man. The winner of a MacArthur ‘Genius’ Fellowship, Denk is a frequent contributor to publications such as The New Yorker and The Guardian. A contemporary of other acclaimed musicians such as Joshua Bell and Steven Isserlis, Denk’s intellect is evident in the way he plays, every strike of the keys a passing thought given musical form as he brings out each note’s full meaning, imbuing his performance with dramatic flair and showcasing technical expertise. Before his performance at the Singapore International Piano Festival, Denk takes time to introduce audiences to the three works he will be playing over the night, explaining how all three are tied by a common theme of ‘return and circulation’, each feeling almost like a journey that attempts to resolve a musical identity in flux, and all of which show erratic tempo and volume throughout. In his first piece (a last minute programme change), Denk began with Mozart’s Rondo in A Minor. Considered one of Mozart’s most melancholic works of all, one thinks of the piece as representative of a manic-depressive state – a lighter melody tinged with a dark edge, as it crescendos. Just when you think the rhythm has been set, the piece changes up with a sudden increase in volume and tempo, and one feels the struggle of paranoia come through in the Rondo. Denk’s playing is precise and controlled for the most part, but allows himself the space for emotion when the piece similarly goes through some unexpected movements. Denk goes on to perform Beethoven’s Sonata No. 30 in E major, Op. 109. If Mozart was a question of a mental state gone haywire, then this Sonata would be a means of exploring one’s own identity in an attempt to garner some form of stability. Coming in during his most experimental phase, the concept of time here is being deconstructed as Beethoven plays with tempo and volume, wildly shifting these around in both the first and second movements. Similarly dark to the Mozart piece, there is the sense that one is riding out an emotional storm as we watch and see Denk play. The limits of musical artistry here are being stretched to their limits, and one thinks of this almost as an abstract painting of a baby being born and taking his first steps, figuring out what he can or cannot do as he explores the world around him. There is a child-like wonder with the way Denk executes this piece, capturing both the song and deep emotions that run through the work, and coupled with his technical brilliance, brings to mind the idea of aforementioned baby becoming a child, and facing the perils of the world around him. There is a struggle, there is conflict, and all of this comes out with Denk’s confidence at playing the piece. After the intermission, Denk rounded off his performance with an epic, 65 minute rendition of Bach’s Goldberg Variations, of which a recording he released topped the classical music charts. This is perhaps the most odyssey-like piece of the three Denk has chosen to play. Epic in length and ambition, the piece comprises 30 variations and two arias, the monumental work is deceptively simple before it unleashes a barrage of technical wit and innovation, each new variation overshadowing the last. One feels brought on journey with Denk as he goes through each variation – even when you think it’s over with a short pause in between, there’s another one waiting up his sleeve to be played and brought to life on the keys. There is tenderness as he caresses the keys and a wild streak as his fingers dance across them before returning us once again to the calm that preceded it. One thinks of these variations as a musical tornado – a light breeze at first before escalating into a raging wind that picks you up for the ride and tossing your mind into space. 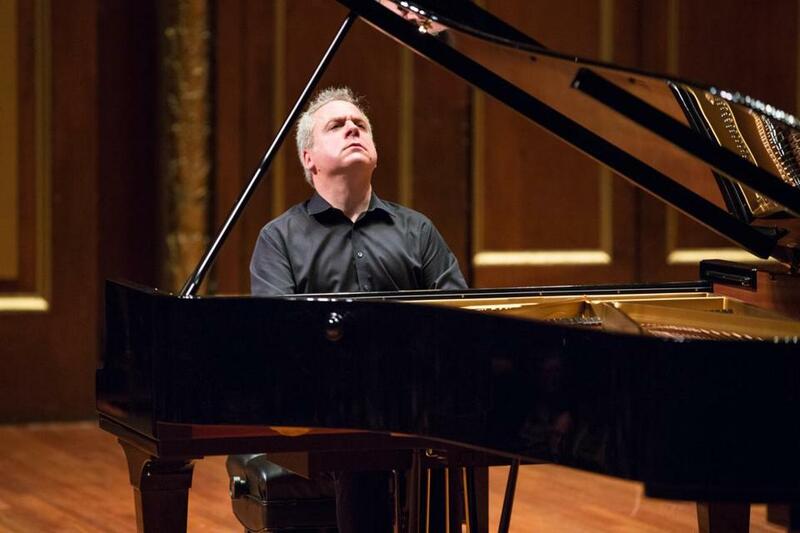 Having chosen some of musical history’s most difficult pieces to play, Jeremy Denk is a bold pianist who knows his material like the back of his hand and undoubtedly, enjoys each and every trill and movement that he performs. It may not be easy, but the challenge is where Denk seems to draw his energy from as he performs these pieces without a hitch, adding his own sense of style and a knowing smile as he thrusts himself completely into the performance, teasing, flirting and overcoming the darkness in all three numbers, to bring us safely home after the identity crisis each piece sits us through, assuring us of his abilities with his confidence as the captain of our ship.